As Captain Chesley “Sully” Sullenberg stood on the deck of a ferry a decade ago marshaling his thoughts about the harrowing ditching of US Airways Flight 1549 in the Hudson River, he realized his cell phone was dry. His first call was to the airline. “The airline operations manager who answered abruptly told me he couldn’t talk because they ‘had a plane down in the Hudson’. The vignette was revealed in a series of tweets by the now-retired pilot to mark the 10th anniversary what would become known as The Miracle on the Hudson. On January 15, 2009, The US Airways Airbus A320 hit a flock of geese after taking off from New York LaGuardia airport and both engines failed. 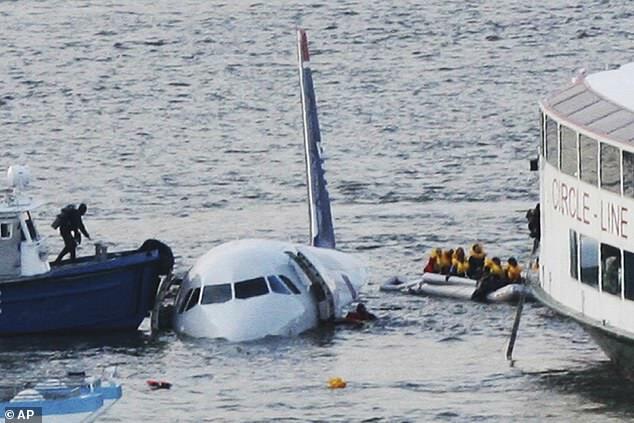 In an act of skill that would make headlines around the world and inspire a movie, directed by Clint Eastwood, Sully and first officer Jeff Skiles managed to successfully ditch the plane on the Hudson River with all 155 passengers and crew successfully rescued. His series of tweets describe how the two pilots could hear the thumps and thuds as the birds struck and a rumbling sound from the engine before feeling them roll back. “As the engines rolled back, they made the most sickening, pit-of-your-stomach sound, “whoooooooo” as they ran down. It was a sudden, complete, symmetrical loss of thrust. I had never experienced anything like it before,” he tweeted. Sully took control of the aircraft and said he and Skiles worked together seamlessly. ‘Even though Jeff and I had just met for the first time three days before, if you had watched us work together, you would have thought we had been for years because we were able to collaborate wordlessly in an emergency when there was not time to talk about it,” he said. Although air traffic control tried to find a way to get the plane to a runway, it became clear it would have to ditch. “This was a novel event that we had never trained for,” Sully tweeted. “In our flight simulators, it was not possible to practice a water landing. Yet, I was able to set clear priorities. I took what I did know, adapted it, and applied it in a new way to solve a problem I’d never seen before. “We did not have enough altitude and speed (total energy) to make it to any runway, so I engaged in goal sacrificing. I was willing to sacrifice the airplane to save lives. Sully warned the passengers and cabin crew to brace for impact. The pilots worked together, with Skiles helping to judge height and calling out airspeed and altitude. Now came the problem of what the Sully describes as “a perilous evacuation”. Sully was the last to leave the plane, walking up and down the center aisle twice and shouting for anyone left to come forward to ensure no-one was left behind. The water at this point was so high it was almost to his waist. The US National Transportation Safety Board would later describe the incident as the most successful ditching in aviation history. The crew at the 10th anniversary lunch. Photo: American Airlines. American Airlines, which merged with US Airways in 2013, held a lunch attended by Sully, Skiles and the three flight attendants to mark the anniversary. 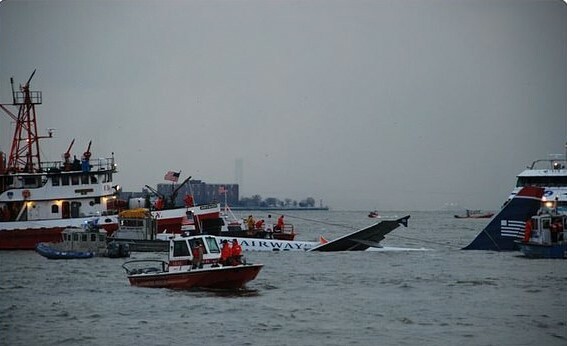 “Flight 1549 quickly became known as the Miracle on the Hudson, but all of us know that what Capt. 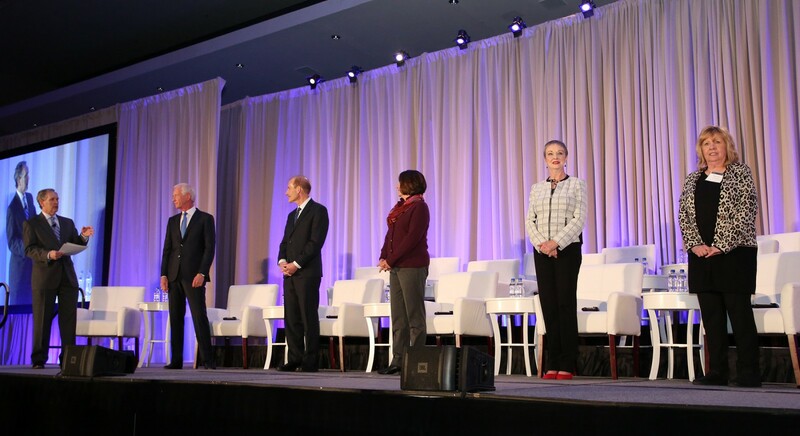 Sullenberger, First Officer Jeff Skiles and Flight Attendants Sheila Dail, Donna Dent and Doreen Welsh did on the Hudson was not a miracle, but an example of great skill and professionalism produced by years of training and experience,” American chief executive Doug Parker said.